Rice is one of the most used sides in the world! It goes with just about everything, is found in many casseroles, and you can eat it for breakfast, lunch, dinner, and even dessert! But sometimes cooking it can be a little tricky. For that reason, I bake my rice. No stovetop, no microwave- just bake it in the oven. Turns out perfectly done, doesn’t take up space on my stove when doing other things, and I can put it in and forget it until it’s done. 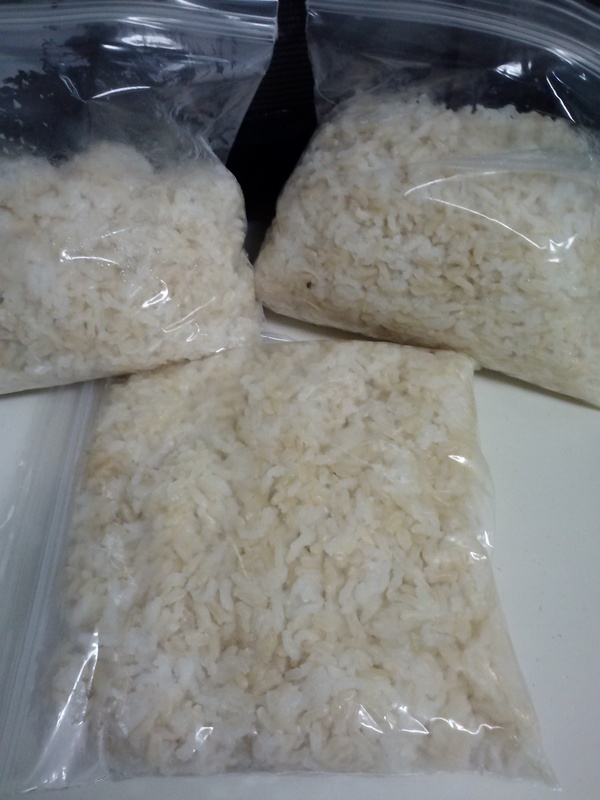 3 cups rice- you can use white or brown rice, or a mixture! I love a half and half mixture. Preheat oven to 350°. 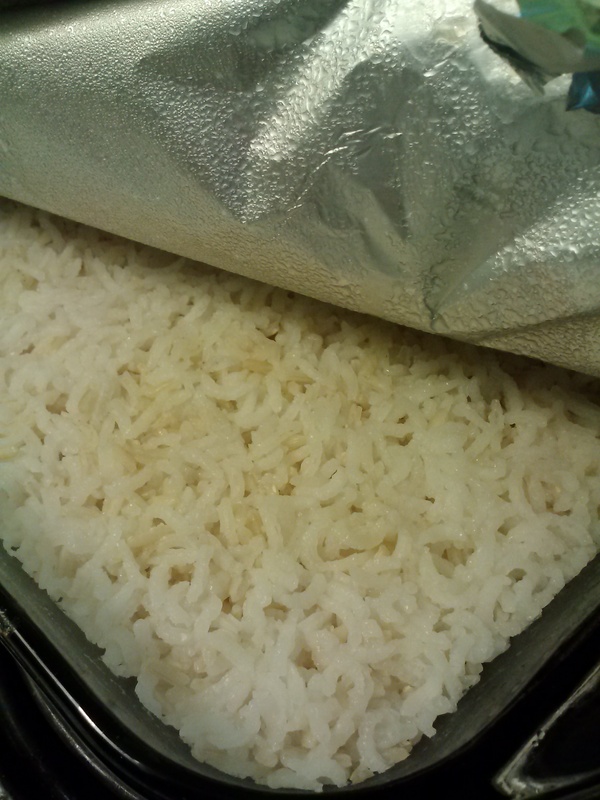 Pour rice into a 9x13 glass pan. Heat water until boiling or nearly boiling. Pour hot water over rice, and stir. Sprinkle salt over it, and place several pats of butter on top of the hot water. I usually use about 3-4 tablespoons butter. Cover the pan tightly with tin foil- you don’t want any steam or liquid to be escaping while it bakes. Carefully place the pan in the oven and bake for 50-60 minutes. Carefully peal back edge of tin foil and let vent for a moment before completely removing. Fluff with fork. This makes a TON of rice. With just two of us at home, there is no way we could eat it all before it goes bad, so I freeze what we can’t use immediately. After it cools, I divide it into several sandwich sized ziplock baggies, flatten them a little, and freeze until I need them!